Whitewash Author to Speak in Chicago!! CAREY GILLAM, the author of WHITEWASH: The Story of a Weedkiller, Cancer, and the Corruption of Science, will speak in CHICAGO on MONDAY, FEBRUARY 4 at 5:30 p.m.
She will speak in downtown Chicago at the Gleacher Center of the University of Chicago, just off North Michigan Avenue. This event is FREE and OPEN TO THE PUBLIC, but to attend you MUST respond using this "Eventbrite" invitation. As you already know, one of the chief applications for genetic engineering is to render crops immune to the effects glyphosate, a dangerous weedkiller, so that weeds in surrounding areas can be killed without harming crops. This has exposed farmworkers, consumers, and anyone who comes in contact with the air and water polluted by glyphosate to be exposed to this harmful and reportedly carcinogenic chemical. We are delighted that Ms. Gillam will be speaking at one of the foremost schools of business administration in the U.S., under the auspices of the Stigler Center for the Study of the Economy and the State (https://research.chicagobooth.edu/stigler) which states as it's goal: "... to promote and disseminate research on regulatory capture, crony capitalism, and the various distortions that special interest groups impose on capitalism." Do not miss this opportunity to learn about this important threat to our health and our environment! NOTE: While one of the principal uses of genetic engineering is to facilitate the application of the herbicide (weedkiller) Glyphosate on certain crops, Glyphosate is widely used in other contexts as well. 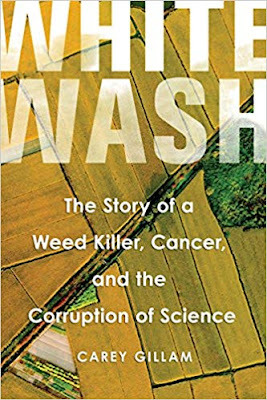 So Carey Gillam's book Whitewash will be of interest to food consumers generally, and not only to those principally interested in genetically engineered (or bioengineered) crops. Look Out! "GMO 2.0" is Here! New genetic techniques affecting food crops are now on the scene. You may have heard about CRISPR, Gene Drive, Synthetic Biology, and others. What are they and why should we be concerned? Since these new products are neither regulated for safety nor labeled, and since we still do not have a clear picture of the health, environmental or food security risks they entail, many people may wish to avoid them. But how? 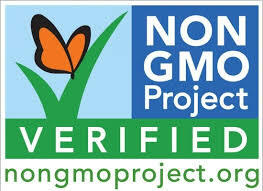 In case you are not familiar with the Non-GMO Project, here is a picture of the mark you may see on products at the market. Biotechnology companies are making a concerted effort to distance themselves from the consumer and manufacturer rejection of GMOs by claiming that new genetic engineering techniques are not actually GMOs. These new genetic engineering techniques such as synthetic biology, gene drives, and gene editing, like CRISPR and TALEN, are often not “transgenic,” meaning the products of GMO 2.0 do not contain genes from multiple species the way “traditional” GMOs do. However, they are still products of biotechnology as defined by the Codex Alimentarius, a collection of international food standards; the Codex definition is the same one used by the Non-GMO Project. Some of the new types of genetic engineering can’t yet be identified using current testing methodologies. In order to keep these technologies out of Non-GMO Project Verified products, our Standard outlines affidavit-based requirements for Non-Testable High-Risk Inputs. It is important to note that these requirements are within the context of the Project’s rigorous verification program, which includes segregation and traceability measures and testing for Major (Testable) GMO risk ingredients. 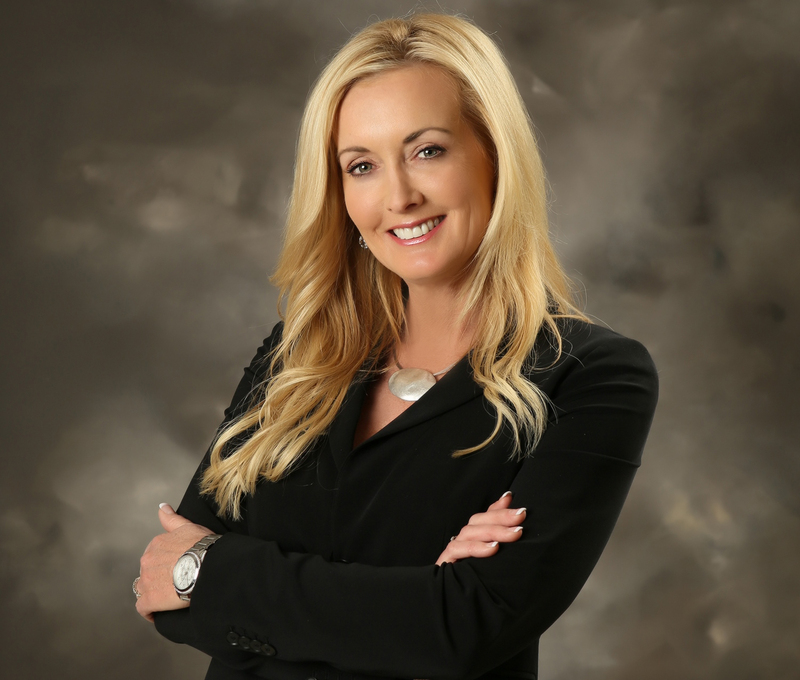 This will support manufacturers in meeting consumer expectations, ensuring that the ingredients they are using are truly non-GMO. We hope to learn more about health and safety concerns, environmental effects and food security issues associated with these products in the near future. But without this knowledge, many consumers, following generally accepted precautionary principles, may choose to avoid these products. Glyphosate, the leading active ingredient in Roundup® weedkiller, is back in the news. Most foods that are genetically engineered today are engineered to withstand applications of glyphosate, which the U. N. has called a "probable carcinogen, " and which California is adding to it's list of chemicals known to cause cancer. Recently we have learned of foods being marketed with traces of this toxic product. Arguments persist as to whether these levels are safe. We urge readers to examine some of these websites and make up their own minds about the level of risk they find acceptable for themselves and their families. We are also including some links about similar situations involving another toxic weed killer, diacamba. (see item 4 below). 1. https://www.nytimes.com/2017/07/25/dining/ben-and-jerrys-ice-cream-herbicide-glyphosate.html This article, published in the New York Times on July 25, 2017, discusses findings of glyphosate in Ben & Jerry's Ice Cream. This article from Organic Consumers Association throws more light on the Ben & Jerry's Ice Cream situation and suggests specific corrective action steps for consumers. This was recently published in Fortune Magazine about California's latest actions regarding glyphosate. Arkansas and Missouri have taken similar actions with respect to another agricultural chemical, dicamba. We will continue to update this post and add others from time to time, but the links above will give you basic information.